The Craft Beer Haven Invites the Cary Community to Grab a Beer and Celebrate With the Tavern. It’s been two years since World of Beer-Cary opened its doors, and to celebrate, the tavern is hosting an anniversary party for the community on September 23rd. Grab a barstool early because the event highlights include fan favorite Adam Pitts performing and, as always, great beer and food! Find an epic beer line-up with rare beers from Highland Brewing Company, New Belgium, Sierra Nevada and Wicked Weed Brewing! Anniversary Wings: Lemon Pepper and Rosemary Chicken Wings served with a Parmesan Alfredo dipping sauce. Bacon Cheddar Stuffed Burger: Cheddar and Spiced Bacon infused Angus Burger on a toasted Brioche bun topped with lettuce and tomato, and served with our delicious steak fries. Chocolate covered Strawberries: Large juicy strawberries covered in our house made Fudge Sauce topped with Graham Crackers and Powdered Sugar served with whipped cream. 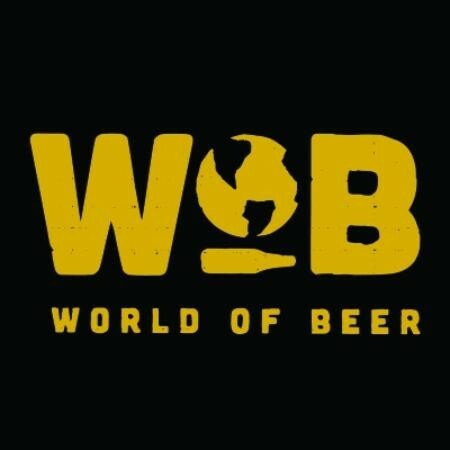 WHEN: September 23rd at 7 p.m.
WHO: World of Beer Cary celebrates the popularity of craft beer and its culture, and rotates its taps daily so guests will discover something new and unique on every visit. The tavern boasts 500 bottles and 50 rotating taps from around the globe. WOB Cary pairs its craft brews with the franchise’s signature “Tavern Fare” menu, featuring a variety of comfort foods and traditional bar offerings with a contemporary spin. The tavern also boasts an extensive cocktail menu featuring WOB’s favorite cocktails from around the world and crafted with a unique twist and fresh ingredients. WHY: Local craft breweries are the backbone of North Carolina’s booming craft beer industry. Consumers’ thirst for craft beers continues to grow, with U.S. craft beer sales expected to triple over a 10-year period ending in 2017, according to research firm Mintel. With the growing variety of craft beers to choose from, WOB has a specially trained and knowledgeable staff — known as WOB Stars — who have completed nearly 30 hours of training to guide guests to a beer selection that suits their particular style and taste.